* John Seven uses the word "sprawling" more than once in his review of Emil Ferris' MY FAVORITE THING IS MONSTERS. * Alexis Sergio explores the inclusivity of POWER AND MAGIC: THE QUEER WITCH COMICS ANTHOLOGY edited by Joamette Gil. * Scott Cederlund reviews THE ABOMINABLE MR. SEABROOK by Joe Ollmann by focusing more on the subject of the book as a means of exploration. * Sophie Pinkham writes about the relevancy of Julia Alekseyeva's SOVIET DAUGHTER: A GRAPHIC REVOLUTION. *Andy Oliver says that Rozi Hathaway's COSMOS AND OTHER STORIES "isn't a comic you read. It's a comic you feel. A simple statement, perhaps, but one that fully embodies the empathetic power of Rozi Hathaway's storytelling. 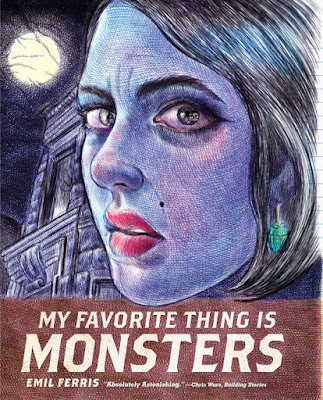 *Nick Hanover writes, "(f)rom the previews and ads Fantagraphics put out for ALL TIME COMICS, it seemed pretty obvious that the entire project was going to be a vain, self-indulgent mess but it's impressive how CRIME DESTROYER surpasses even those worst case scenario predictions." 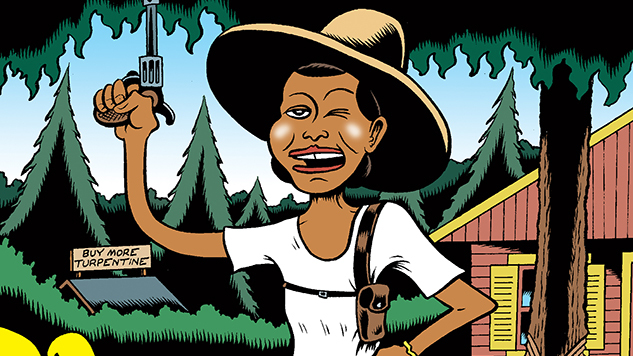 * Hillary Brown interviews PETER BAGGE about his new book Fire!! : The Zora Neale Hurston Story. * Zack Soto and Mike Dawson talk to Julia Gfrörer & Sean T. Collins about Mirror Mirror 2, the upcoming anthology they are both editing and contributing to as part of the Spring Collection from 2dcloud. * Benjamin Gladstone's IT'S TIME FOR INTERSECTIONALITY TO INCLUDE THE JEWS. Julia Gfrörer & Sean T. Collins talk Mirror Mirror 2!